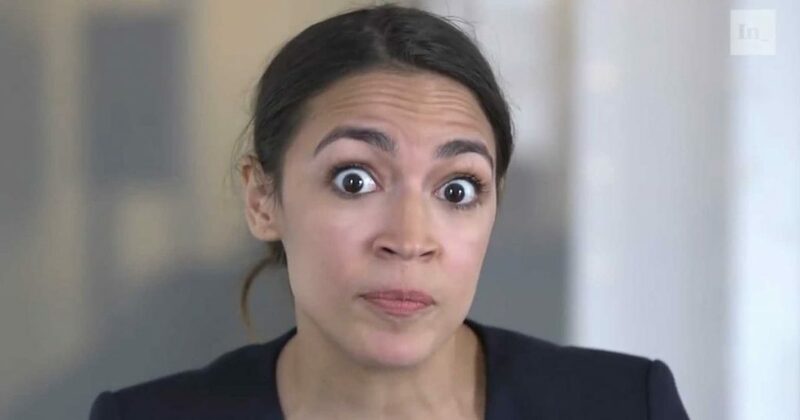 While Rep. Alexandria Ocasio-Cortez is certainly not the sharpest knife in the drawer, you have to give her credit that she knows how to get media attention, but sadly for her, that media attention has backfired, exposing the reality of what an absolute, illogical person she is with a totalitarian bent. Polling numbers demonstrate the media’s coverage of AOC has caused her poll number to tank since last summer. WASHINGTON, D.C. — Two months into her new job on Capitol Hill, Rep. Alexandria Ocasio-Cortez has become a much more recognizable figure to Americans. Half of U.S. adults were unfamiliar with or had no opinion of her in September after her seismic primary win over the summer, but that figure has shrunk to 29% today. But the increased visibility has not improved her overall standing with Americans. Whereas the public had mixed views of Ocasio-Cortez in September, her image now tilts slightly negative, with 31% viewing her favorably and 41% unfavorably. Since September, the congresswoman’s unfavorable rating has climbed 15 percentage points while her favorable rating is up by seven points. The latest data are from a Gallup poll conducted Feb. 12-28. The trajectory of Ocasio-Cortez’s image has some similarities to that of former House Speaker Newt Gingrich. Though Gingrich was no newcomer to Congress, he only gained national prominence after leading the Republican takeover of Congress in 1994. Like Ocasio-Cortez, he quickly became a household name with more viewing him unfavorably than favorably within a few months of assuming the House speakership in 1995. Underscoring how far she has come so quickly, Ocasio-Cortez’s ratings are currently similar to Senate Minority Leader Chuck Schumer, whose favorable, unfavorable and no opinion ratings from December are nearly identical to the congresswoman’s latest figures. Schumer has served in Congress since 1981, first in the House of Representatives, and since 1999 in the Senate. So, what caused AOC to go into meltdown mode over these numbers? Well, again, it’s her inability to think, reason or understand reality. “The reason people know more [about me] is bc Fox News has turned into “AOC TMZ” (no offense to TMZ), so awareness is growing w/ GOPers,” she tweeted in a follow-up. Yes, we can’t be scared by that because the world ending in less than 12 years is far scarier. The point is she fails to see that her favorability didn’t just tank with “old white men.” She tanked across the board: seven points with independents, three points with women, seven points with young people age 18-34 and eight points with ages 35-54. There is a saying that it’s better people think you are a fool that open your mouth and remove all doubt. As long as the media puts the microphone in front of this puppet, she is going to keep demonstrates how foolish she really is, both economically/politically andtheologically. The GOP just needs to keep letting her talk. She’s committing suicide in front of everyone.